Who Is At High Risk? We all probably have had canker sores at least once in our lives. Even so many people are constantly experiencing this situation but do not know the reason why. Canker sores are easily identified through some common symptoms. Despite being a benign disease, these sores often cause a variety of pain and discomfort. Do you want to understand more about this disease? Are you looking for ways to get rid of it quickly? This article can help you do that. Please do not skip any of the helpful information below. Canker sores are sores in the mouth or tongue. The canker sores are usually yellow, white or gray with a red border. They often cause pain and burning inside the mouth. Every time you talk, eat or drink, this situation will torment you, making you feel very painful and uncomfortable. Unlike cold sores or fever blisters, canker sores are not on the outside of the human mouth. They just form in the lining of the mouth inside, known as oral mucosa. They are not contagious, but be painful, especially when speaking or eating. There are a few types of canker sores, which are minor canker sores, major canker sores, and herpetic form canker sores  . Simple canker sores appear only 3 to 4 times a year. They last for a short time (less than a week) and can go away on their own. Complex canker sores are more dangerous, even causing symptoms such as high fever, swollen lymph nodes, headaches, and diarrhea. Canker sores are a benign disease. They can self-heal after 7-10 days. However, you need to be careful because you can confuse canker sores with some other oral diseases, especially tongue cancer. For tongue cancer, the manifestations of the disease can be described as follows: tongue often has sores, which can appear every few months; after that, they appear very frequently and for a long time even though the patient has applied many ways to treat. In addition, the patient may have some symptoms such as rapid weight loss, weariness, tongue bleeding, tongue tumor or difficulty opening mouth, swallowing food and speaking. Tongue cancer is a very dangerous disease. It is often mistaken for canker sores so many patients have been delayed in diagnosing and treating the disease, resulting in unfortunate consequences. Not only that, canker sores also cause some trouble for pregnant women. If coming with root canal bleeding, this condition will be more dangerous. Up to 50% of pregnant women experience these problems. That is because during pregnancy, the hormones in the woman’s body have changed a lot. Increased levels of progesterone make the gums more sensitive to the bacteria in the oral cavity. Therefore, in addition to causing pain to the pregnant woman, these problems can also cause some consequences such as body weakness and premature birth. What Are Common Causes Of Canker Sores? A minor injury in the mouth due to excessive brushing, the accident when playing sports, accidentally biting on the cheek inside the mouth. Food allergies or unreasonable diet. Regularly eating sensitive foods, especially chocolate, coffee, strawberries, eggs, nuts, cheese, fried foods, greasy foods, and spicy or sour foods. These foods can cause balance disorders in the oral cavity. Use animal oil or poor quality cooking oil. Eating too hot foods cause mucous burns and canker sores. Lack of vitamin B-12, zinc, folate (folic acid) or iron. An allergic reaction to some bacteria in the mouth. Helicobacter pylori – bacterium that causes duodenal ulcer. Hormonal changes during menstruation or pregnancy period. Frequently smoking and drinking alcohol. Do not drink enough water, making your mouth dry. Poor immune system. The immune system is weakened by other diseases, including blood disorders. Allergy to chemical components in toothpaste such as sodium lauryl sulfate. Dental diseases such as tooth decay and pulp inflammation. The patient is infected with herpes virus. This virus will be active when the patient usually is in a polluted environment. Indigestion or constipation. When we eat a lot of food that causes indigestion, a continuous combination of decomposition of food and constipation can cause canker sores. Ear, nose and throat infections. These conditions can also cause canker sores. However, this case is quite rare. The use of certain drugs. Some drugs, such as antibiotics and anti-inflammatory drugs, lead to dry mouth, which causes canker sores. What Are Common Symptoms Of Canker Sores? Small oval ulcers with a size of 1-2mm. They are white, yellow or gray with a red border. They become larger after 1-2 days and burst together, forming ulcers. They cause you pain even when you are not touching them. The ulcer becomes enlarged, sometimes up to 10 mm, which greatly affects eating and communication activities. Feeling itchy in the mouth. Without complications, ulcers heal after 10 to 15 days and then repeat again. You may experience other symptoms not mentioned. If you have any questions about the signs of the disease, please consult your doctor. Who Is At High Risk Of This Condition? Canker sores are very common. This problem can affect anyone of all age. Even children can get this problem. However, people who are deficient in vitamin B12, zinc, folate (folic acid) or iron and those who regularly eat spicy or sour foods are at high risk for canker sores. However, you can control this disease by minimizing the risk factors. Please see your doctor for more information. Canker sores are not a serious disease so you can treat it by applying home remedies. However, if you experience the complications of canker sores, or if this condition lasts too long without any sign of deterioration, you should see your doctor. He or she will check directly for you and give you the most accurate diagnosis. In addition, if you are pregnant, as soon as you notice the symptoms of the disease, you should see your doctor immediately.If you any questions, please consult your doctor. Each person’s condition is different, so please consult your doctor to select the most suitable option. There, you have discovered some information about canker sores. To eliminate this situation, you can apply the tips we mentioned below. They are all very simple and effective. 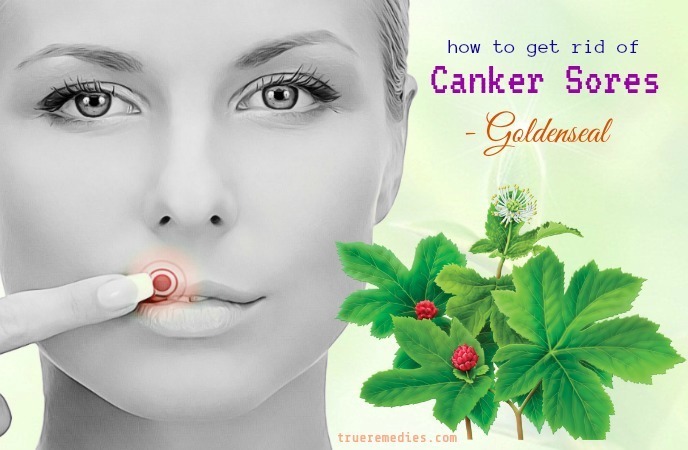 It is time to find out 30 best tips on how to get rid of canker sores fast and naturally. Take a look at TrueRemedies.com! 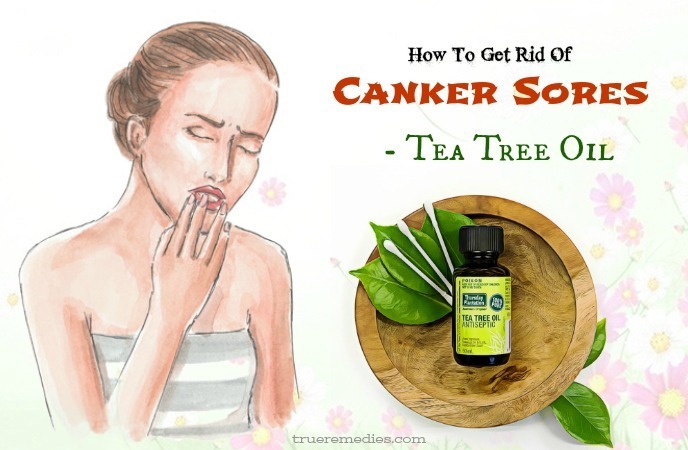 This is the first treatment in this list of tips on how to get rid of canker sores fast. As we mentioned above, not drinking enough water is one of the causes of canker sores. Lack of water causes dry mouth. This creates favorable conditions for bacteria to invade and damage the mucosa. Water helps reduce inflammation and fight infections. Therefore, increase your water intake to speed up the treatment of canker sores. Besides drinking water, you can try some other types of water such as orange juice or green tea. Orange juice contains high levels of vitamin C, which is very beneficial in boosting the immune system, fighting against oxidation and inflammation. According to researchers, orange juice contains folate, a vitamin B, which plays an important role in the formation of new cells, promoting the healing of wounds and sores. With effective anti-inflammatory properties, orange juice will be helpful for those with canker sores. Green tea has high antibacterial properties, so we cannot ignore this special essence. Green tea contains antioxidant activity to prevent the spread of the virus. However, we should not abuse this tea. Excessive consumption of green tea causes side effects to susceptible individuals. According to Dr. Zuo Feng Zhang, a researcher at the University of Maryland, two to three cups of green tea a day would be beneficial. For those reasons, why not try drinking green tea right now? Centella has the ability to heal wounds and reduce stress, so it has a great effect in curing canker sores. According to research by health experts, centella contain Triterpenoids, which can heal wounds and ulcers very quickly. Triterpenoids also enhance antioxidants for sores and sores. This helps to speed up the treatment process. So, drink 1-2 cups of centella juice every day to get the best results. Lettuce is capable of detoxifying the body. Modern medicine has studied and found that the lettuce also has antibacterial properties, so it has a great effect in the treatment of canker sores. Drinking 1-2 glasses of lettuce juice is what you should do in this case. 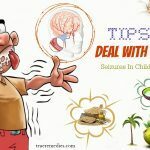 Using salt water is another must-try treatment in this list of tips on how to get rid of canker sores fast. We all know that salt water has an antiseptic effect. So, if you have canker sores, rinse your mouth with salt water 2-3 times a day. Even if this condition has been eliminated, you can still apply this tip every day. Salt is antiseptic, so it can help clean the mouth by removing food plaque on the teeth. As a result, tooth decay cannot develop. In addition, rinse your mouth with salt water helps reduce the pain caused by canker sores and eliminate bad breath. Minerals in sea salt are thought to be able to heal damaged areas and infections, so it can soothe the sores. For these reasons, rinse your mouth with warm salt water for about 1 minute each time is best. 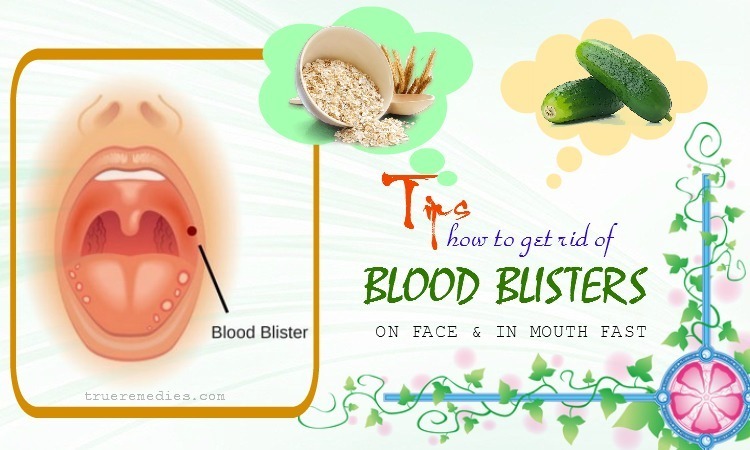 Among tips on how to get rid of canker sores fast, using Aloe Vera is one of the most effective. Aloe Vera has natural anti-inflammatory properties. It contains saponin chemicals that act as an antimicrobial agent. Aloe also alleviates pain and relieves inflammation. It is a natural remedy to detoxify the body. If your work schedule is too busy and you have to eat fast foods regularly, you should drink a glass of Aloe Vera juice every day. This juice provides important vitamins and minerals for the body. Therefore, regular consumption of Aloe Vera juice helps maintain a healthy weight. This is a very good solution to increase your resistance. As you know, the deterioration of resistance is one of the causes of canker sores. Therefore, if you are experiencing this situation, do not skip this tip . Do this 2-3 times a day to get the best results. You can buy Aloe Vera gel at pharmacies. Note: Do not swallow Aloe Vera gel because this gel adversely affect your stomach. This treatment is one of little – known tips on how to get rid of canker sores fast. Cold water and ice cubes can help relieve pain and inflammation in the mouth. You probably already know the effect of cold compresses for treating knee pain. The use of cold water and ice cubes has the same effect. Cold temperatures reduce circulatory blood flow to the traumatic area, thereby reducing swelling and pain. Especially before eating, applying this tip will help you reduce the pain that canker sores cause. Hold ice or ice cream in your mouth. Drink or rinse your mouth with cold water. If you find ice cubes too cold, then try to drink cold water during the day. Put ice cubes in a plastic bag and apply it to inflamed areas. Frequent application of these methods helps accelerate the treatment process. Do this 2-3 times a day to get the best results. Remember to not swallow tea tree oil. This is one of the lesser-known tips on how to get rid of canker sores fast. The use of vanilla essential oil has been known for a long time in the world. The effect of vanilla essential oil in fighting infections and oxidants has been demonstrated by numerous studies and trials. According to a study published in the Journal of Agricultural and Food Chemistry, pure vanilla essential oil is extracted from vanilla bean which contains more than 60% ethyl alcohol (a powerful antioxidant).The antioxidant properties of this natural oil help protect the mouth from damage by neutralizing free radicals. Vanilla also helps reduce inflammation and relieves pain caused by canker sores. For those reasons, vanilla essential oil is always the choice of many people in the treatment of canker sores. Do this 2-3 times a day to get the best results. Note that you should only use 100% pure vanilla essential oil. Do not use artificial oils because they are not capable of helping you fight infection. This sounds strange when it comes to tips on how to get rid of canker sores fast, but it works. From ancient times, hazelnut oil has been used in medicine, especially used to treat the symptoms of canker sores. The therapeutic effect of this natural oil is in its ability to absorb water (just like tea tree oil). Please apply this tip as soon as you notice signs of canker sores. Hazelnut oil will work best if you use it for newly formed sores. Please apply this tip 2-3 times a day until your condition is fully treated. Hazelnut oil can irritate sensitive skin. So before using this kind of oil for canker sores, try a few drops on your arm to check. If hazelnut oil does not irritate the skin of your arm, you can use a small amount on your sores. Using hydrogen peroxide is reckoned one of the best tips on how to get rid of canker sores fast. Like salt water, hydrogen peroxide can also be used to sterilize sores. Hydrogen peroxide (H2O2) plays an important role in the body’s immune system. Because of the strong ability to kill virus, it is used to sterilize wounds and sores. Although the use of hydrogen peroxide can make you feel a little pain, but the effect that it brings will surprise you. With this tip, you do not have to rinse your mouth with water. Do this twice a day in the morning and evening to get the best results. Do not swallow this solution. 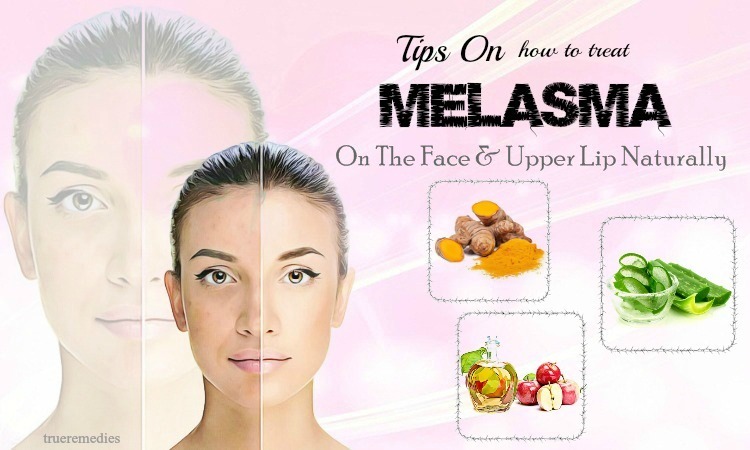 Using turmeric and honey is considered one of the best natural tips on how to get rid of canker sores fast. Honey has the ability to kill bacteria very well. Turmeric powder has anti-inflammatory effect. Therefore, this mixture helps to treat ulcers rapidly and stimulates the growth of tissues. Please apply this tip 2-3 times a day until your condition is fully treated. In addition, you can use pure honey to apply to the sores, hold for 5-10 minutes and then rinse mouth with water. The acidity in apple cider vinegar can remove the bacteria that cause canker sores. In the process of forming apple cider vinegar, substances such as malic acid are also formed. These substances cause apple cider vinegar to have anti-bacterial and anti-viral properties. Besides, apple cider vinegar contains a number of acids and antioxidants that stimulate the formation of new cells. Therefore, the use of apple cider vinegar to treat canker sores is something you should try at least once. You should make this tip regularly every morning and night before sleeping until your condition is completely eliminated. Note that you should not apply apple cider vinegar directly to the sores. This will make you feel very painful and your condition will also get worse. The use of diluted apple vinegar is the best. The next one in this list of tips on how to get rid of canker sores fast is using coconut oil. So far, over 1500 scientific studies have shown that coconut oil is one of the most potent foods. The benefits of coconut oil go far beyond what most people can think of. This natural oil forms a protective film for the oral cavity including teeth, gums and tongue. Coconut oil has antibacterial properties, helping the body to avoid the bacteria that cause oral disease, including canker sores. In addition, the antibacterial properties of coconut oil support the canker sore treatment. 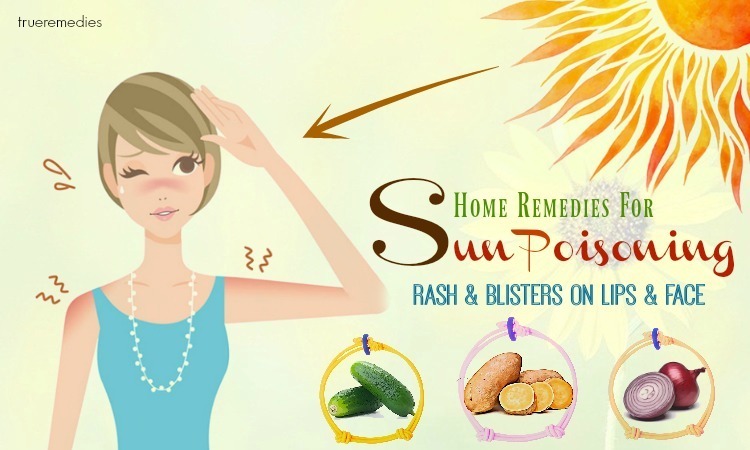 This natural oil also soothes the sores, making you feel better. Although simple, this tip is sure to surprise you with its effect. This is a very benign natural oil so you do not have to worry about allergies. Please apply this tip 2-3 times per day, especially before going to sleep. This is essential if you want to make the tips on how to get rid of canker sores above work. You had better avoid spicy, acidic or rough foods which may trigger irritation and pain. Some examples are hot sauce, orange juice and burnt toast. Despite canker sores often clear up on their own over time, one thing you could do to help heal your ulcers and prevent the recurrence of this condition is eating yogurt daily. Yogurt has “good” bacteria named acidophilus and lactobacillus, which supports the colon health, maintain beneficial bacterial within the intestinal tract, aids the digestion, and boosts the production of immune system boosters like immunoglobulin antibodies. The friendly bacteria in yogurt are called as probiotics. In essence, probiotics are live organisms that live in the human digestivel tract. 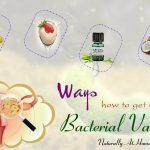 These organisms, if ingested into the body and not damaged by antibiotics, poor diet, stress and other factors that could trigger a bacterial imbalance, will colonize in our intestines and flourish. It explains why people are recommended eating yogurt upon taking antibiotics for infections. Besides, these bacteria also help to heal canker sores and eradicate the pain. The smooth, coolness of yogurt are also helpful for the pain . 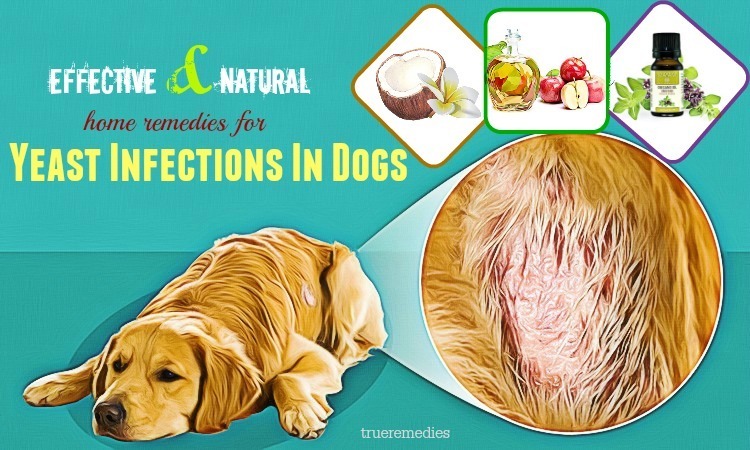 With this remedy, the key point is to take enough live bacteria to be effective. It is best for you to eat at least 8 ounces of unflavored yogurt daily till the sores heal. Also, to keep your sores away, you should consume approximately 4 tablespoons of plain yogurt daily as a natural preventative. Remember that not all types of yogurt are the same, so it is crucial to consume plain yogurt with live acidophilus cultures, not the fruit-flavored or sweetened types. Read the product label to check for the words “live active cultures of lactobacillus acidophilus”. Greek yogurt is a great choice. If your body is lack of zinc, it also triggers canker sores. Zinc deficiency is associated with recurrent canker sores. Thus, it is important to warrant that you do not have this shortage. It was found that supplementing up to 150mg of zinc each day could reduce canker sore recurrence by 50-100% . An easy way to boost your canker sore healing process is taking a good quality zinc lozenge for 1-2 times per day. You need to avoid toothpastes as well as mouthwashes containing sodium lauryl sulfate – a foaming agent contributing to the formation and recurrence of canker sores. In accordance with a study conducted in Norway, sodium lauryl sulfate triggered canker sore incidences. This substance has a denaturing effect on the oral mucin layer, with the underlying epithelium exposure, thereby inducing an incidence of recurrent canker sores . Goldenseal is usually used in treating all types of wounds. This herb has constituent with antiseptic and astringent properties, which could help treat wounds and infections, such as canker sores. You can make a strong tea from goldenseal root which could be found at health food stores and use it as a natural mouthwash. Simply mix ¼ teaspoon of goldenseal powder with 1 cup of warm water, then stir well. Use it regularly till your sores go away. Alternatively, you could also make a paste between goldenseal and water, apply it directly to your affected area. Thanks to antiviral and immune-enhancing effects, echinacea is an effective herbal solution for how to get rid of canker sores fast. It also accelerates general wound healing process. Simply swish about 4ml of Echinacea liquid for 3 minutes before swallowing. 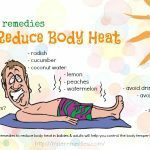 This will promote your immunity and accelerate wound healing process. Repeat this routine 3 times per day. This herb is also found in the form of capsule or tablet. Licorice has tannins along with other compounds which help to promote the wound healing process. It is demulcent, expectorant, adrenal agent, anti-inflammatory, antispasmodic, and also a mild laxative. You can use it in combination with other herbal teas to sweeten the mixture. A study showed that a mouthwash having licorice gave a relief from canker sores in about 75% of users. The relief was reported after just one day of using, and completed after 3 days. 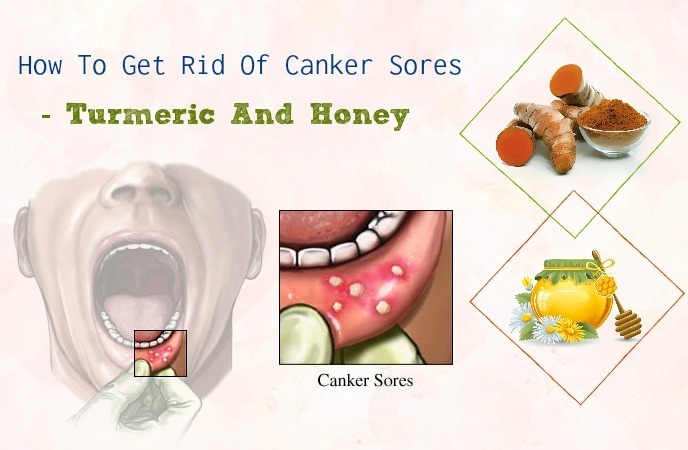 This herb is one of must-try tips on how to get rid of canker sores. Its healing effects are spasmolytic, carminative, antiseptic, anti-hidrotic, and astringent. Actually, sage is a classic solution for inflammations in throat, mouth and tonsils. A lot of herbalists recommend using this herbal tea to gargle their throat for relieving bleeding gums and inflamed throat and mouth. You can combine it with tormentil and the balm of gilead for good results. This herb has been used for thousands of years to deal with various conditions thanks to its anti-inflammatory, carminative, anti-spasmodic, analgesic, vulnerary and antiseptic properties. That is why it is not surprising that German chamomile is used to treat for canker sore pain. This herb has a soothing effect on mucous membranes. 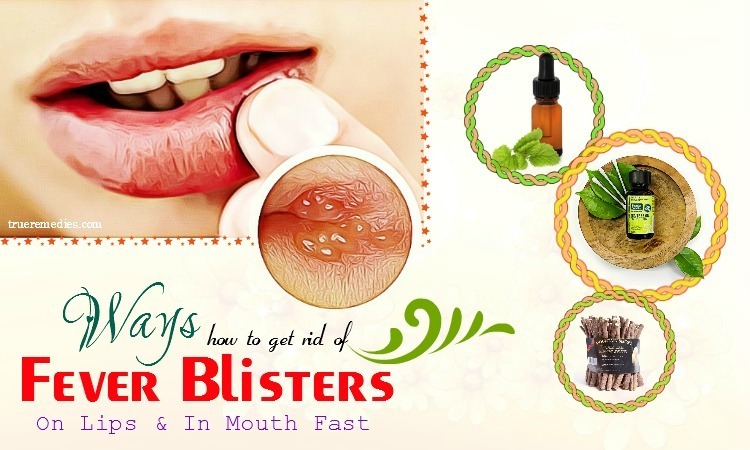 Besides, the healing properties also contribute to its priority when it comes to tips on how to get rid of canker sores. Swish with chamomile tea for 2-3 times per day will help you cure canker sores in just a few days. Honey, especially Manuka and thyme varieties, is a good solution for canker sores. It has strong anti-bacterial properties, so it helps promote wound healing process. However, it was reported that these effects vary so much depending on the place and the way that honey is harvested. Some types of honey could be up to 100 times more potent than others. Thus, it is hard to define exactly the effectiveness of commercial honey for canker sores . 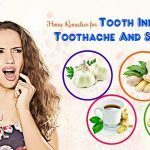 The next time when canker sore plaque attacks your mouth, you can take a cotton ball to dip into honey and apply on your sores which are cleansed well. This is an easy fix for your canker sores because of is anti-inflammatory property. Coriander seeds are easily found in most kitchen cupboards. This Ayurvedic remedy could help you reduce inflammation significantly. Also called as sodium bicarbonate, baking soda can help to treat mouth ulcers. Especially, it is useful for people with canker sores due to acidic foods and drinks. Baking soda can neutralize the acid, thereby reducing inflammation while removing bacteria and germ. It sometimes makes you feel burned at first. Or, you can also apply baking soda directly over your sores. 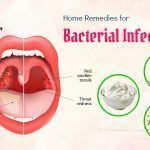 Most people have cayenne pepper in their kitchen, thereby making this spice one of the cheaper and easier ways on how to get rid of canker sores. However, when using cayenne pepper, do not touch your tongue with it. It will help numb your pain naturally. Remember you may experience some irritation at first but it will go away soon. 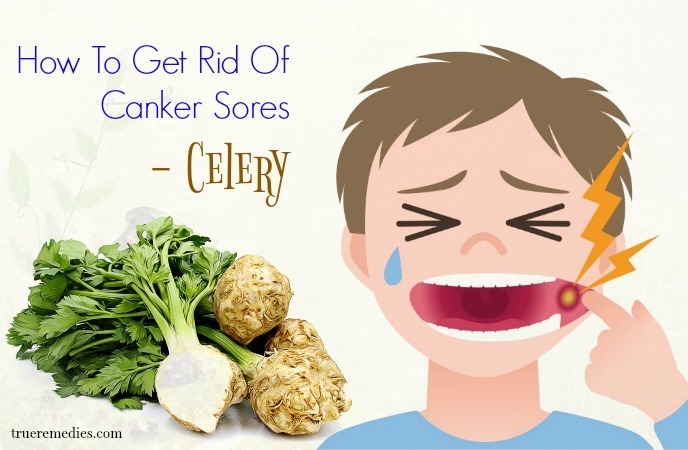 Celery is another great option among tips on how to get rid of canker sores due to its analgesic and anti-inflammatory properties. Besides, celery has folic acid and vitamin B1, B2, B6, vitamin C and others which can promote faster wound healing. You can chew celery sticks to relieve pain or place a pulp of celery stalk on your affected area for about 10 minutes a few times per day. It helps to eliminate your bad breath. Especially, celery is highly effective for those with canker sores because of iron deficiency. Being an aromatic herb, sage is popularly used upon cooking turkey or chicken. Also, it could be used to eradicate canker sores thanks to the ability to alleviate inflammation and pain accompanied by canker sores. To make use of sage, you can use it either in the ground or leaf form. Alternatively, you could also put some ground sage on your canker sores and rinse it off after several minutes. Repeat this routine 3-4 times per day. Despite among ways on how to get rid of canker sores, using clove oil is not common, but it is effective. In fact, essential oils have become popular ingredients in healing wounds. Clove oil is very effective for healing mouth ulcers and canker sores. Dentists worldwide use clove oil for years to lessen pain experienced by canker sore sufferers. With antibacterial properties, raw one makes it a great choice for canker sores or mouth ulcers. To take its advantage, consume ½ of the whole onion, then chew it on the sides which is impacted by canker sores. Repeat this routine daily till your canker sores go away. In case you hate eating raw onions, put onions into a juicer and drink its raw juice. Myrrh with its long history of treating wounds, gum and mouth inflammation is another tip on how to get rid of canker sores. Scientists in German showed that myrrh can treat a number of mild inflammations of the mouth, gums, and throat because its high amount of tannins. Some herbalists suggest using 200-300 mg of herbal extract or about 4ml of myrrh tincture with the warm water and swishing it around in the mouth for 2-3 times per day. Or, you can also open a capsule of myrrh, then dab the extract onto your sore directly. Cankerroot is also called as goldthread. The plant is used as an herbal treatment for canker sores, fever blisters and sore throat. Those American Indians used this herb as a herbal tea to deal with canker sores. They chewed raw cankerroot root to take its advantage. Arginine – an amino acid found in foods such as walnuts, chocolates, sesame seeds and soy beans can be the cause of canker sores. Therefore, avoid consuming these foods during treatment. Instead, you should eat foods that contain Lysine amino acids to counteract the effects of Arginine. Foods rich in lysine include red meat, pork, poultry, cheese, eggs and yeast. You need to pay special attention to this to prevent canker relapses. You can take supplements of Lysine every day. Additional dosage depends on many factors, so it is best to talk to your doctor. You can prevent or support the treatment of canker sores by brushing and using dental floss daily. If you have diabetes or wear a denture, you should clean your mouth thoroughly because these may be the cause of sores in the mouth. Avoid sharing drinks, toothbrushes, and glasses. Vitamin and mineral supplement. You should take vitamin C, B1, B2, A, and zinc to help regenerate the mucosa faster. Limit smoking, drink alcohol, and drink carbonated beverages, as they often worsen the sores. Avoid foods that easily cause irritation, such as pepper, chili, and ginger. You have just found tips to treat canker sores. As you can see, they are all very simple, safe and effective tips. Let’s apply them and follow our guidelines. 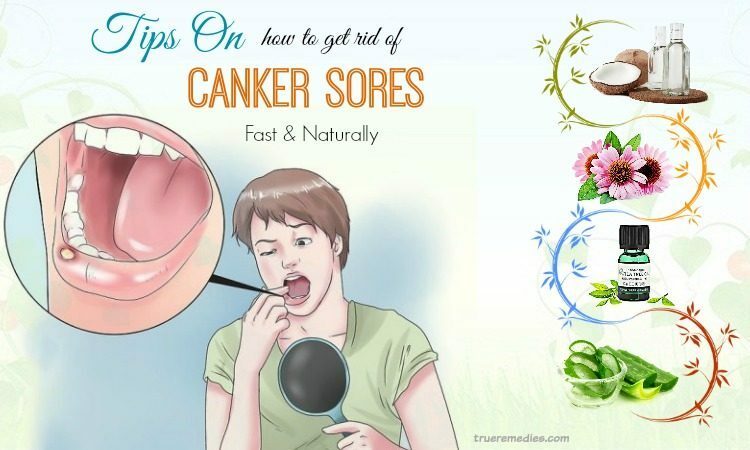 If you have any contributing ideas about our article of “Top 30 Tips On How To Get Rid Of Canker Sores Fast & Naturally” introduced in How To Category, do not hesitate to drop your words below this post. We will answer as soon as we could.